TOKYO (Reuters) - Asian shares were steady on Friday, with Japanese stocks poised for another strong session as the yen languished at a four-year trough against the euro and six-month low versus the dollar. Investors have been using the yen as a funding currency for carry trades with the Bank of Japan committed to keeping ultra-loose monetary policy to shore up growth -- a contrast with the U.S. Federal Reserve which is moving towards unwinding its $85 billion-a-month bond-buying campaign. The Japanese currency was quoted at 139.25 to the euro, a fresh four-year low, and stood at 102.33 yen to the dollar, within striking distance from a six-month high of 102.375 hit on Thursday. The yen is down 4.2 percent versus the euro, heading for its worst monthly performance since March, while it is off 4 percent against the greenback, on track for its biggest one-month fall since January. "Japan is set to release seven pieces of economic data today and we will be watching the CPI and industrial production figures for insight into how Abenomics is tracking and whether the three arrow strategy is taking effect," Evan Lucas, market strategist at IG in Melbourne, wrote in a note. "If Japan doesn't see inflation move up then expect further stimulus measures to be announced over the coming months from the Bank of Japan and the central government." With the yen stumbling, Tokyo's Nikkei share benchmark (NIK:^9452) has been on the ascend. It hit its highest closing level since December 2007 on Thursday. The Nikkei is up 51 percent so far this year. If the gains were to hold for the rest of this year, it would be the best yearly rise since 1972. MSCI's broadest index of Asia-Pacific shares outside Japan <.MIAPJ0000PUS> was little changed, after reaching a 1-week high on Thursday. The index is down 1.7 percent this month, though it is still up 1.4 percent this year. 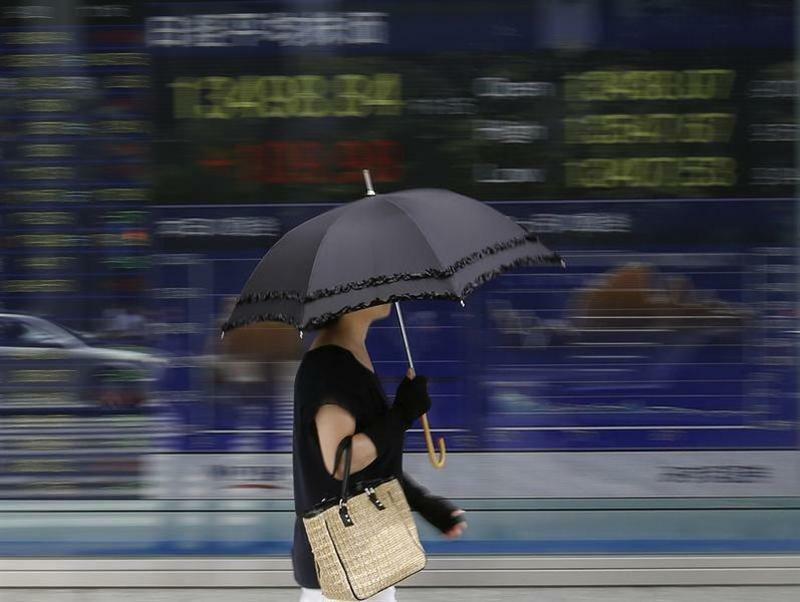 The Asian gauge has sharply underperformed the Nikkei as well as a 26.7 percent jump in the U.S. Standard & Poor's 500 (.SPX) and a 16.3 percent rise in the STOXX Europe 600 (.STOXX) index. Trading across most markets was light, as U.S. financial markets shut for Thursday's Thanksgiving holiday and will have half-day session on Friday. Ahead of the euro zone inflation data later in the day, the euro was steady at $1.36015, having touched a one-month high in the previous session. Preliminary German consumer prices harmonized with other European Union countries accelerated in November, suggesting euro zone inflation could come in higher than expected and reducing pressure on the ECB to take further action. Among commodities, gold inched 0.1 percent higher to around $1,244.7 an ounce, having risen 0.5 percent overnight on signs of physical demand emerged from Chinese buyers.